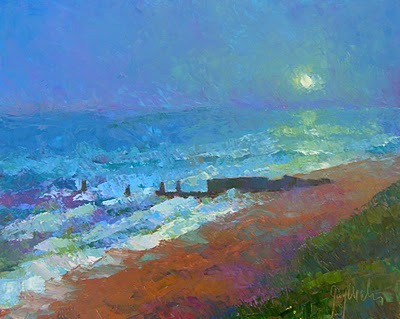 I started this painting on location, while the the sun was setting in anticipation of the rising full moon. Before I could finish the weather became so cold and windy I had to pack it up and finish the painting in my studio. I was able to finish by memory, a good exercise to try from time to time.